Today’s post was graciously provided by Sean Dahlquist. 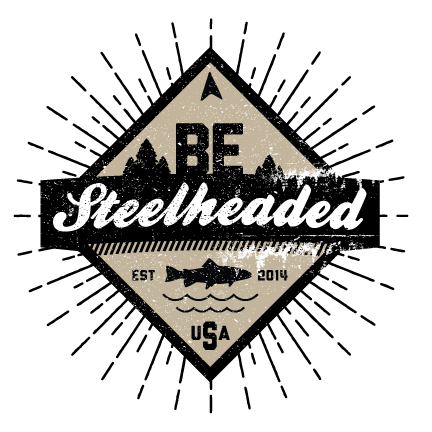 Sean lives on the Olympic Peninsula, where he loves fishing for steelhead and trout, and of course, tying flies. Not only is Sean a fine tier, but he is also a historian on the topic. Check out Sean’s Instagram @sean_dahlquist page for more great patterns and examples. The first time that I ever picked up a Spey rod was over 10 years ago during the spring steelhead season on Washington’s Skagit River. I was still relatively new to fly fishing, but my fishing partner, who is an experienced Spey caster, was giving me pointers and in a short time I began making fishable casts through the run. Suddenly to my surprise I felt the sensation of a fish at the end of my line. After a scrappy fight I brought a mint, 3lb or so Dolly Varden to hand. The pattern I had been fishing was a General Practitioner. It has been a confidence fly for me ever since. The original General Practitioner, or GP, was devised nearly 70 years ago by Mr. Esmond Drury, and English salmon fisherman. Drury had recently harvested a pile of prawns and decided to try and replicate one at the vice. After a considerable time at his tying desk Drury eventually produced a pattern that pleased him. On his first outing with his new creation he hooked 4 salmon and landed 3! Like many English salmon patterns before it, the G.P. eventually made it’s way to the U.S. and Canada where it quickly became a popular East Coast salmon fly and was also adopted readily by the steelhead and salmon fisherman of the Pacific Northwest. Drury’s original dressing for the General Practitioner is extremely complex, time consuming, and difficult to tie. I have distilled a version of the G.P. down to a quick,easy, and durable tie that i feel holds true to it’s intended prawn-like silhouette. 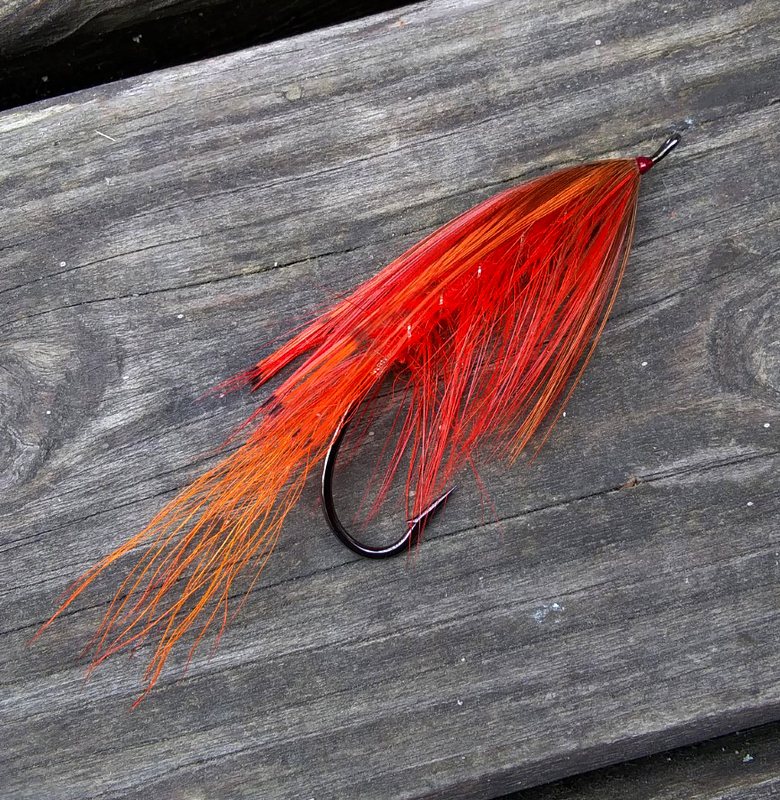 Originally tied with red macaw tail fiber feelers, today they are typically replaced with a small bunch of dyed orange bucktail. Drury’s tie has several segments of golden pheasant tippets and flank feathers with palmered dyed orange rooster hackles through out. This is typically reduced and simplified. Dressing the G.P. on shanks and tubes has also become popular. Over the years this pattern has accounted for innumerable fish and has been modified in every imaginable way and tied in a multitude of colors. I think it’s safe to say that no two anglers tie it exactly alike, but it is always fished with the same high amount of confidence. Step 1. Tie in a strand of flat or oval tinsel to create a small tag. Step 5. Begin wrapping the oval tinsel rib forward crossing over each turn of hackle stem to lock it down. Step 6. Tie in a long Golden Pheasant flank feather for the collar. Step 7. Select a large Golden Pheasant tippet and tie it in flat over the back. Step. 8 Finally tie in an equally large Golden Pheasant Flank feather directly over the top of the tippet feather to create the shell back to finish the fly.